Good news. 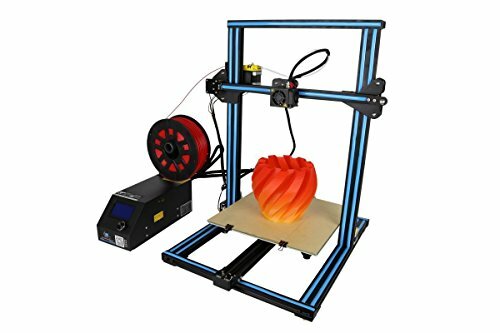 This is a new version of CR-10, upgraded model CR-10S 300mm , Z axis upgraded to 2 leading screws + motor wires + Filament Detector. (1)Unique extrusion structure: Supports more than 10 kinds of printing materials. (2)Linear bearing system: High precision/ Good stability/Low noise. (3) Import T screw rod and PCB higher accuracy; Patent V slot, wheel, more stable and noiseless. 1 Year Warranty. Free Technical Support and English manual, Software and video(comes with a U disk or SD card). Tips:We will send you plug according to your country. Item will be need to Self-assemble. Please check every axis, couples and screws assemble correctly before let it working. Make sure to choose the correct voltage before turn it on. We can offer professional technical support during using!